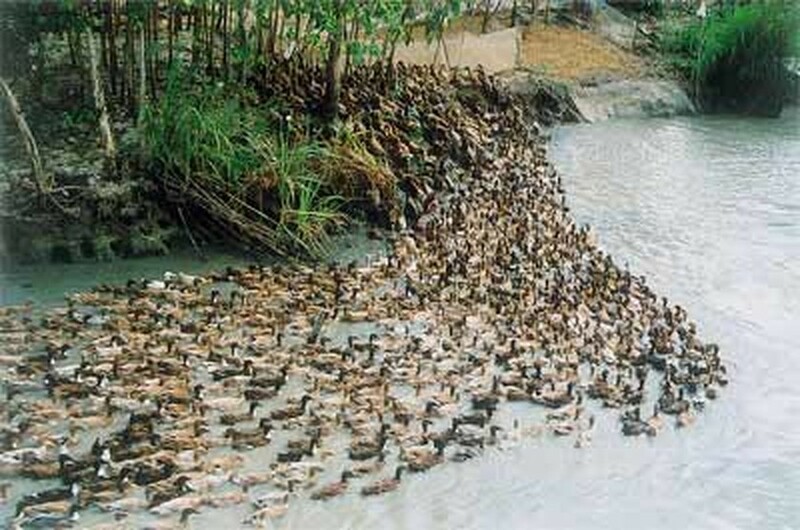 Concentrations of ducks, rice paddies and people are primarily responsible for outbreaks of potentially deadly bird flu across Asia , according to The UN Food and Agriculture Organisation (FAO). “Rather than chickens, (these) are the major factors behind outbreaks of H5N1 highly pathogenic avian influenza in Thailand and Viet Nam , and are probably behind outbreak persistence in other countries of the region such as Cambodia and Laos ,” the Rome-based agency said in a report released on March 26. A group of experts studied a series of outbreaks between early 2004 and late 2005 under senior FAO veterinary officer Jan Slingenbergh with findings published in the latest issue of the Proceedings of the National Academy of Sciences of the United States . “We now know much better where and when to expect H5N1 flare-ups,” Slingenbergh was quoted by news agencies as saying. “With virus persistence becoming increasingly confined to areas with intensive rice-duck agriculture in eastern and southeastern Asia , evolution of the H5N1 virus may become easier to predict,” Slingenbergh said. By comparing satellite mapping of rice paddies, to show the concentration of ducks feeding on leftover grains in harvested fields, to outbreak timelines, the researchers were able to draw a link and pinpoint periods when the risk of the virus spreading is at its greatest.